What kinds of help do you need with your listings on Ebay & Etsy? In Texas Gals Jewelry Lovers we’ve started helping each other improve our listings to get more sales on Ebay, Etsy, & Poshmark. We give each other tips to take better pictures, write better titles and descriptions so our items are found in search. Think of a puzzle where the title, photos, description, and tags combine equal your listing. If all the pieces of the puzzle are working together, your item has a greater chance of being found in search. 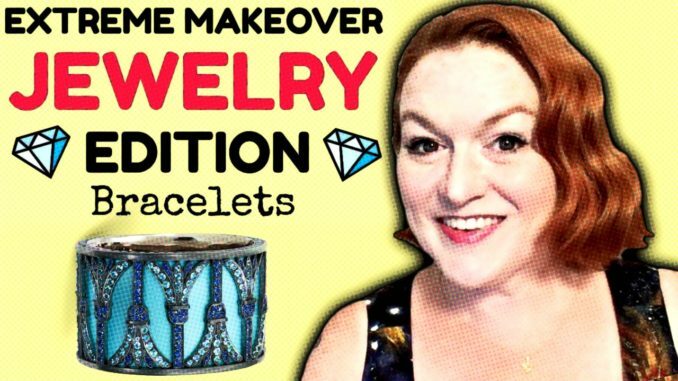 Check out the bracelet listings we critique in this Extreme Makeover Jewelry Edition – Bracelets and join in the fun on Facebook at Texas Gal’s Jewelry Lovers.